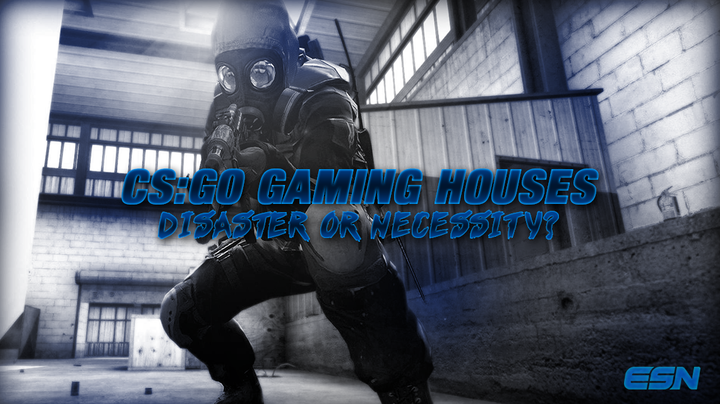 CS:GO Gaming Houses – Disaster or Necessity? Here is what ESN thinks about whether or not Counter-Strike teams should have team houses. Since the beginning of the eSports era, many teams have wondered what it would be like to share housing with one another. Rarely do teams ever get to experience this because of the expense and issues that can come about. Whether it’s through burning out on the game, burning out on teammates, or just plain inconvenience, many teams have crumbled. The console scene has brought forth a lot of success with teams in team houses including OpTic Gaming , FaZe Clan , Team EnVy and many more. Although many Call of Duty players enjoy living in a team house, it’s questioned as to why Counter-Strike players have had trouble with it in the past. Past team houses or “boot-camp houses” in organizations such as Ninjas in Pyjamas , Natus Vincere , Titan and Cloud9 have all come and gone for different reasons. Many realized that being around the game 24/7 was stressful and hard to deal with, and others just didn’t want to play the game so much that they burnt out. Another area of success seen from team house besides console is in StarCraft II: Wings of Liberty and League of Legends . Cloud9’s and Counter Logic Gaming’s League of Legends teams are doing well and performing despite all living together. Team Liquid’s house in Santa Monica, while cramped, is a very effective way for the team to work almost 50 hours a week on the game. Many Korean teams in League of Legends have team houses as well, and if you know anything about League of Legends you know that Korean teams are the best in the world. As many know, Cloud9’s Counter-Strike: Global Offensive team house did not work out and the players didn’t enjoy the month boot-camp they took with their old lineup. It nearly killed their team chemistry because of the clash of character and long hours of stress. Some people have stated over the past couple of years that team houses are a bit overrated for CS:GO. With the long games and the long hours it takes to grind out strats and consistency, many like having a break from the people they play with. “NiP has done this perfectly” as many fans and analysts have put it in the past. They use the team house for boot-camps alone and only use it when they feel they need it. It has provided their players with ways to get away from all the chaos and stress of the game, while still maintaining a consistent level of play (not quite as consistent recently, but it was in the past year). Most notably in the past few months, Hellraisers’ CS:GO team and EnVy’s CS:GO team both picked up team houses. While there isn’t a lot of information on how they’re doing currently, EnVy has had a great 9-3 run this September (for having such a new lineup), and Hellraisers has gone 7-4 against some top opponents like Team SoloMid and Fnatic . An upside to having a team house is that players tend to practice more. Some players don’t practice as much as they should and this can hold them to it. Proximity of players shouldn’t really dictate how well tactics can be practiced in CS, even if it is helpful in StarCraft II. Another upside to having team houses is that players can get a sense of what it’s going to be like at a tournament. They can play five people to a table – side by side, with limited arm space, and the in-game-leader in the middle looking around at their teammates. A big benefit of having all the members to a team in one house can be that everyone must adhere to one schedule involving practices times and game times. However, if players on the team have high self discipline then the significance of a team house is no longer that major. If players can do this from their own home (NiP) while only needing the occasional boot-camp then there’s no real need. A downside to having a team house for all CS players is that it’s a very structured and stress-filled environment, meaning that, if someone wants to get away from the game for a few days and not stress over the team they physically can’t. Also, many players across various teams and nationalities have different personalities and behaviors that may clash with people they live with. When you live with someone long enough, you really get to know them; being side-by-side with someone you work with all the time might cause you to be sickened by even being around them. Having a team house means that the team must be very careful so as to not burn out their players with too intense and too often gameplay. Generally speaking, most people like time outside of work (i.e. practice) to themselves. This means that maybe it’d be a good idea to give players more space outside of the game than simply a bedroom. 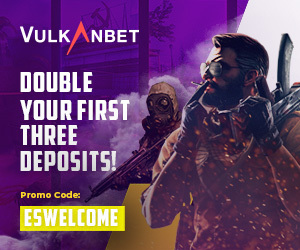 Whether or not it’s a good idea to have a team house in Counter-Strike is a big issue; however, most fans believe that it’s not the biggest issue out there to deal with. Many of the larger or more successful teams like Team SoloMid, Fnatic, Na’Vi, Cloud9 and Team Virtus.pro have opted out of it or have halted this activity from before. That being said, with the success these teams have had, it’s probably not necessary that they have a team house. Let us know what you think in the comments below or @eSportsNation on Twitter!